Derrick Kunzer and Tommy Avallone, outside a bar in London named The Bill Murray. A lot of people have Bill Murray stories. Murray’s been a huge movie star for more than 30 years, but in recent years he’s become a legend for an entirely different reason: His tendency to show up, in real life, in places where you’d least expect him. He’s even been known to pop up in Philadelphia, such as the time in 2015 when he was spotted at Oscar’s Tavern. Tommy Avallone began hearing the stories around 2010; he thinks his friend, the local professional wrestler Brian “The Blue Meanie” Heffron, was the first to tell him one. Now, the filmmaker and Haddon Heights, N.J., native has made a feature-length documentary called "The Bill Murray Stories: Life Lessons Learned From a Mythical Man." Avallone’s film will have its world premiere at the South by Southwest Film Festival in Austin on March 10, and the New York Times listed it as one of “five titles to watch for” at the festival. So the large Philadelphia contingent that makes the annual pilgrimage to the event will have a chance to check out the work of a local filmmaker. The 35-year-old director, who says he’s “always been a fan" of the actor, was fascinated by the Murray phenomenon, so he sought to track down the origins of the stories, a journey that took him to such locations as London, Chicago and South Carolina. He even solicited additional stories in a YouTube video last fall. Avallone is coy about whether or not Murray ended up cooperating with the film or showing up in it – “just see the movie,” he says – although a photograph of Murray and Avallone together was published in the New York Times. Murray’s real-life pop-ins were a natural subject for Avallone after Santa Claus, because he’s “not unlike a Santa Claus – he comes into your life, makes a memory, and then disappears,” he said. 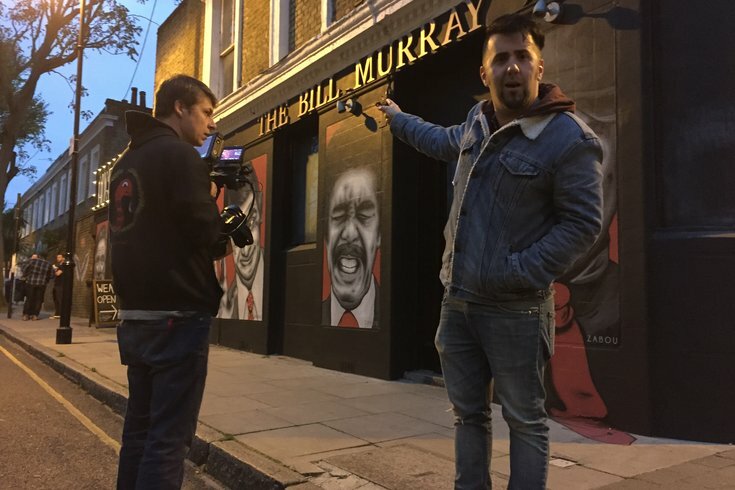 The Murray film, which Avallone was still working to finish as recently as last week, will debut in Austin, while also playing at the Hot Docs festival in Toronto next month. Avallone hopes to come out of the upcoming run of festivals with a distribution deal. “I’m not hoping for anything except a good home for the movie,” he said. Next, Avallone is at work on a film called “Waldo on Weed,” about Pizza Brain founder Brian Dwyer and his young son’s battle with cancer and his treatment, which utilized cannabis oil. 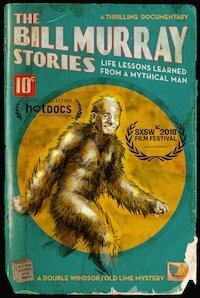 “The Bill Murray Stories” premieres March 8 at the Alamo Drafthouse South Lamar in Austin. There’s no word on when the film might arrive on a Philadelphia-area screen, but if you’re looking for a Bill Murray fix, he will perform at the Kimmel Center on April 4, along with cellist Jan Vogler. Or look for him at a bar, bowling alley, or kickball game near you.